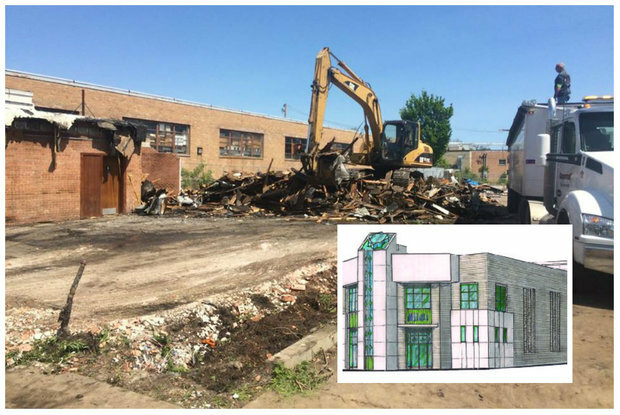 SAUGANASH — The remains of the once iconic Myron and Phil steak and seafood restaurant have been torn down to make way for an Islamic learning center and mosque. 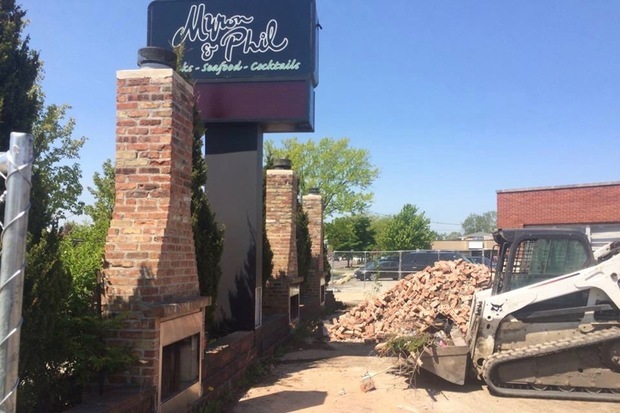 Mark Freedman, who ran the restaurant founded by his dad, Myron, and uncle, Phil, until it closed in May 2013 after a fire, said he watched the building being torn down Thursday and reminisced. "I remembered times, different times, some good and some bad," Mark Freedman said. "How lucky I was to be a part of that great establishment. It provided so much for me and my family." In the restaurant's place, Sacred Learning NFP, a nonprofit organization, plans to build a two-story Islamic school and mosque. The organization is now located in West Ridge. Reservations at Myron and Phil — founded in 1971 — were once among the most sought after in town, and nearly every diner was greeted by Phil Freedman and his signature line: "Nice to see your smiling face." Without any experience in running a fine dining restaurant, Myron and Phil Freedman turned their namesake restaurant into a destination for Chicago's rich and famous — many of whom were happy to contribute a signed photo to the restaurant's walls. Known for its chopped liver pate, whitefish, skirt steak and salad dressing, Myron and Phil was considered by many to be most glamorous place on the Far Northwest Side for decades. Myron Freedman died in May 2013, on the same day as an electrical fire in a storeroom forced the restaurant to close. Phil Freedman died in September 2014. While Mark Freedman vowed to rebuild after the fire, a protracted battle with the restaurant's insurance company and a desire to launch a new venture prompted him to sell the property at 3900 W. Devon Ave. in Lincolnwood, just across the street from Sauganash. Wildwood Tavern opened in July 2014 at 7201 N. Caldwell Ave., Niles, and is named after the Chicago neighborhood Mark Freedman calls home.